For one of their last screenings this summer, Cinespia is showing Suspiria (one of my favorite films!) at the Hollywood Forever Cemetery on a special Friday screening September 16th! For those that don't know, Cinespia puts on a fantastic screening series where they show films (of every genre, not just horror) almost every summer weekend at the Hollywood Forever Cemetery. It is an unforgettable experience watching films projected on a mausoleum wall with hundreds of other fans picnicking amongst the headstones! I unfortunately haven't made it to any screenings this summer (boo! ), but it is definitely a must-do event if you are in Southern California! gates 6:30 pm / movie 8:00 pm NEW TIME !!! 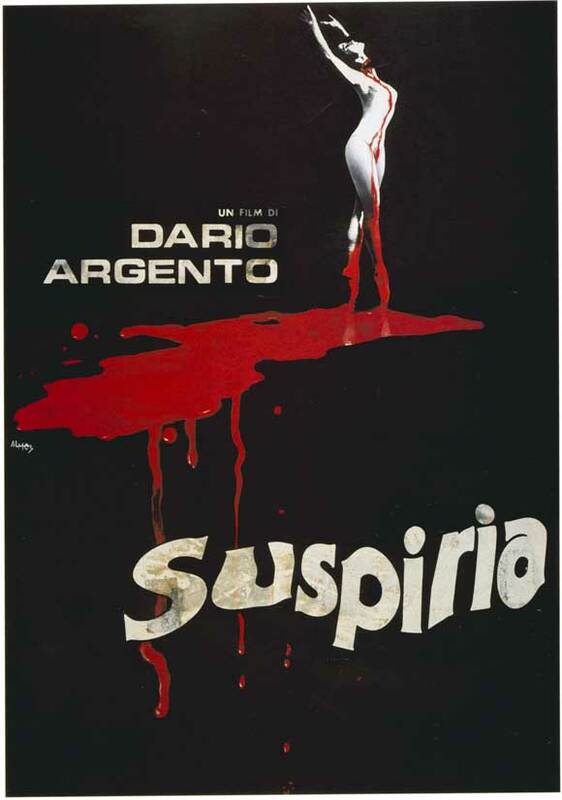 For one of Cinespia's last screenings we present the classic supernatural horror film by master Italian filmmaker Dario Argento. An American girl travels to a European dance academy, only to learn that it may be run by a coven of witches. A stylish feast for the eyes, Suspiria is brimming with Italian design, phantasmagoric color, baroque sets and a wicked soundtrack by Goblin. The surreal visuals, special effects and '70s wardrobe is balanced by some genuinely scary suspense as the girl uncovers the secret of the ancient school. Join us for one of the most creative and wild horror movies of the era....in the cemetery! No one under 17 will be admitted without a parent or guardian. DJ Mahssa spins before and after the screening. Bring blankets, drinks and picnic dinner for this screening below the stars. For more info, check out the Cinespia site! I've meaning to see this film. It's interesting that they'll be showing there.